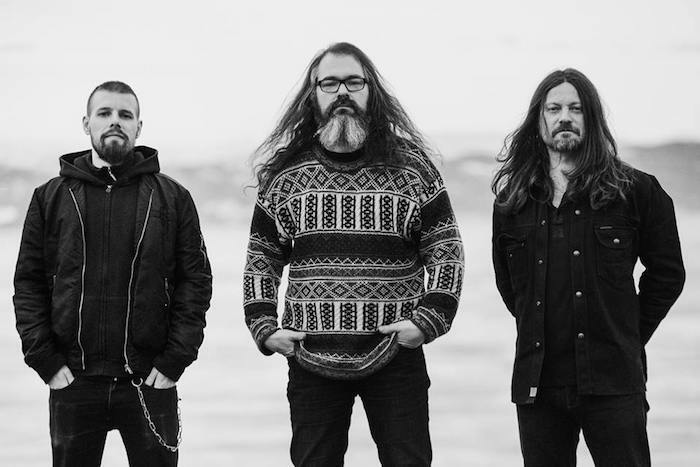 Norwegian psychedelic progsters Motorpsycho are, by any standards, prolific. They have been active as long as I’ve been alive, and they’ve put out almost as many studio albums and other recordings as artists twice as old. As if this weren’t enough, their latest album The Tower is 85 minutes of prog heaven served as a magnificent double-album. As accessible as it is complex, it’s a whirlwind tour through music itself. This clearly topical reference is set over the self-same flute that could as easily have fit into the folk-horror jams of the 60s and 70s as it might have done Jethro Tull’s weird and wonderful music. Indeed, it is from the 60s and 70s that the majority of the influences on this album come. Several of the riffs sound as if Jimmy Page may have included them in a Led Zeppelin track or two, which highlights that this is an album as accessible as it is proggy. The snarling riff repeated throughout ‘A.S.F.E.’ (A Song For Everyone) recalls the opening riff of ‘Paranoid’ by Black Sabbath. But it is not just the heavier jams that come into play. ‘Intrepid Explorer’ could be a very extended David Bowie track – perhaps a spiritual successor to ‘Space Oddity’ – with its ethereal, stripped down atmosphere. It is clear that the loss of Kenneth Kapstadt on drums has not diminished them in any way. His replacement, Tomas Jämyr, has merged seamlessly with the group, grounding the lighter keyboard solos without ever being plodding or boring, and playing heavier fills that even Danny Carey could be proud of. Heavier being a keyword: the album is more aggressive than its immediate, more melodic predecessor, Here Be Monsters. From the opening riffs of ‘The Tower’ through the snarls of ‘A.S.F.E’ and ‘The Cuckoo’, the guitar and bass exhibit meatier sounds, and heavier riffs. This is no bad thing, as it gives the album a serious pace, helping its 85 minute run time almost flash by. It is not Motorpsycho’s longest work, but over its 85 minutes the pace is often relaxed to allow exceptional musicianship to shine through. Key highlights include the flute solo and climax of ‘In Every Dream Home’ and the luscious keyboards of ‘Stardust’. The album’s longest track is ‘The Pacific Sonata’, a 15:39 track that will delight the patrons of a heavy metal club when played on a Friday night at 11pm on the jukebox. The first half of the sonata is a mellow, guitar-led piece, which bridges via a synth into the second half, building an urgent piano melody over an intense finger-plucked bass. It feels overlong, however, and the second half of the track goes nowhere very slowly and very repetitively. There’s exploring a musical idea, and then there is overdoing it, and sadly ‘The Pacific Sonata’ overdoes it. However, this is a minor grumble comparative with the rest of the album. It’s a tour-de-force of incredible riffs, expert musicianship, and beautiful melodies, with enough of everything in its 85-minute run-time to fill several reviews. 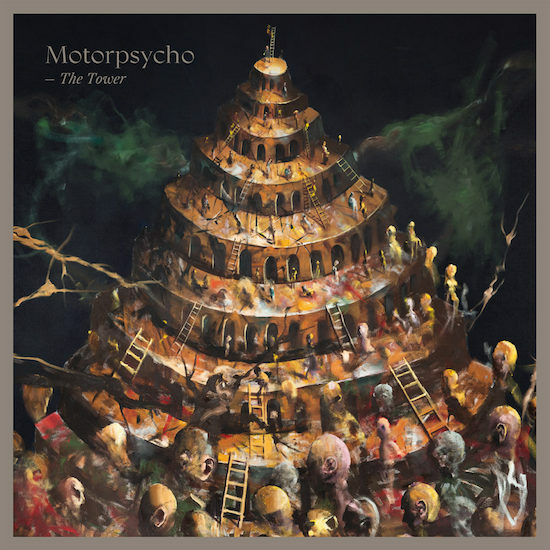 Certain to earn a high place on the Albums of the Year lists, The Tower is an album Motorpsycho should be very proud of, and a strong addition to their extensive discography. 1. 31 albums, if Discogs is to be believed.